​Come In Today For A Free Trial Class! 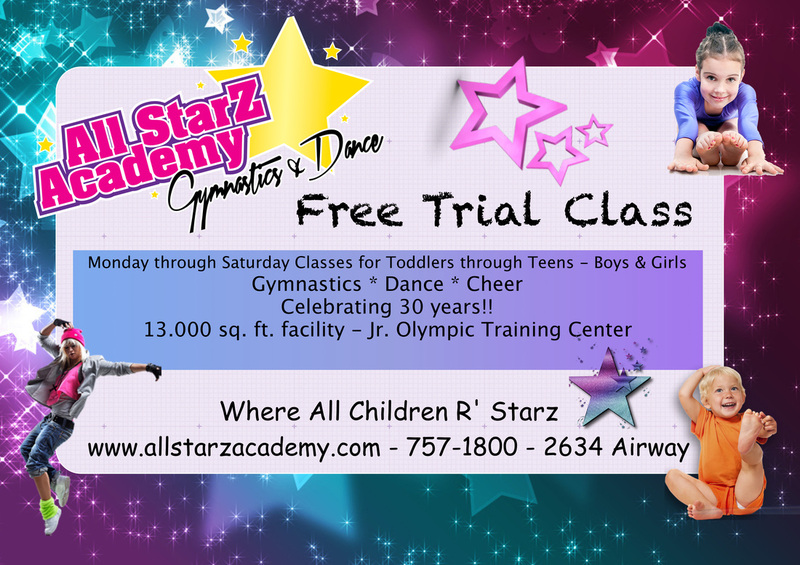 All Starz Academy is a year round USAG Junior Olympic Training Center offering gymnastics, dance & cheer classes for tots, boys, girls & teens. Come join us!! 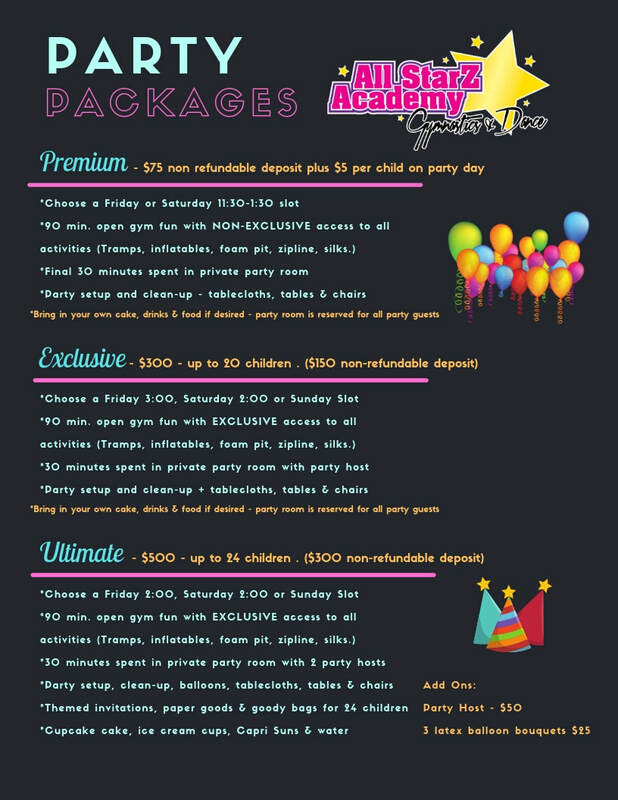 We have Monday through Saturday classes to choose from for beginners to advanced students. Come experience the upbeat & unique All Starz way!! 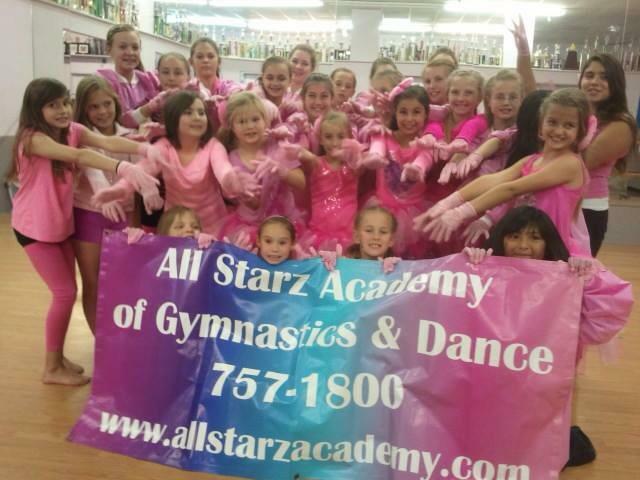 All Starz holds two weekly open gym on Fridays & Saturdays. Both members & non-members are eligible to attend. All ages are welcome. Ages 4 & under may attend if accompanied by an adult. Daytime Playtime!! Bring your little ones to run, jump, tumble and play during the day in our 13,000 sq. ft. facility! Parents can socialize with other parents and play too! It's the perfect way to burn some energy... and almost always guarantees a good nap time! Any child ages 0-5 is welcome. (Adult supervision required). 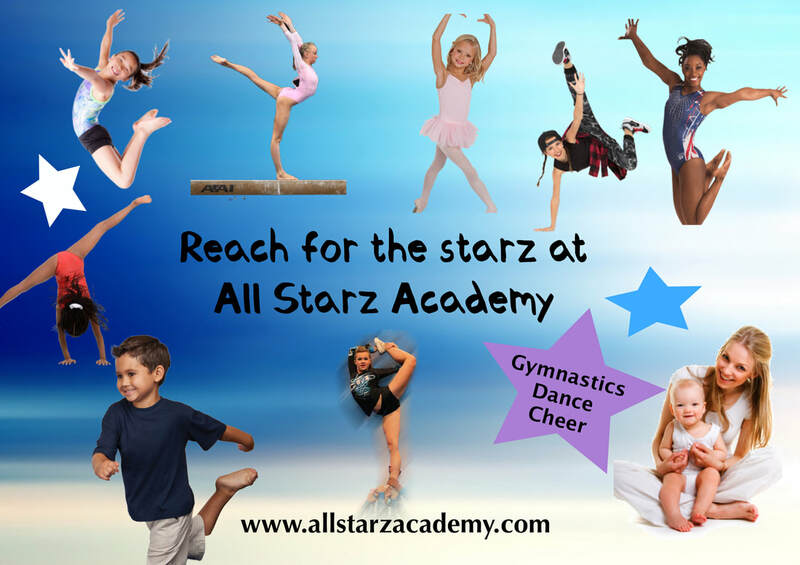 You DO NOT have to be a member of All Starz Academy to join the fun. Cost - $5 per child/$8 per family. Parents & babies under 12 months play for free! Daytime Playtime will be held every Wednesday from 10:00-11:00. Our Winter Schedule begins January 7th. Now is the perfect time for new students to join. 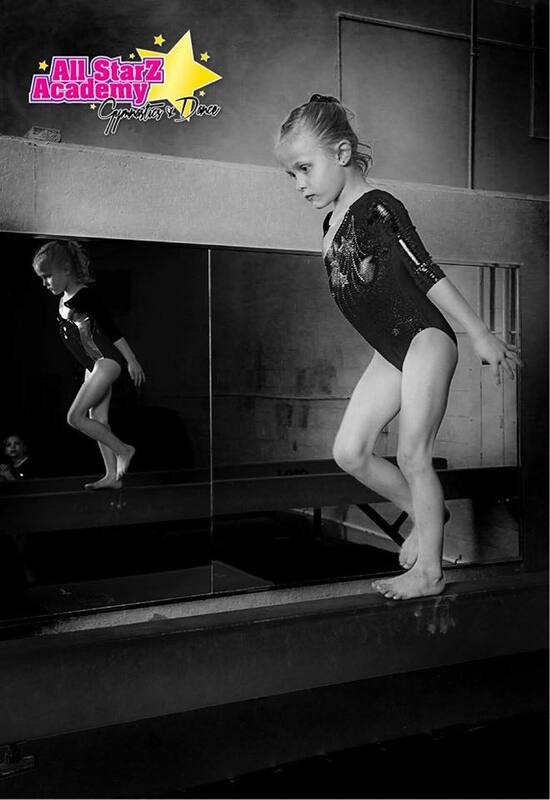 Click on the Gymnastics, Dance, Or Cheer/Tumbling Tabs to view class options & prices.